Is it possible to bring your brick and mortar brand online? As a local small business owner, you know the importance of reaching clients and growing your business with marketing. However, how can you sell your services online? In this article, I’m going to share how you can share your dry cleaning business on social media and grow your online presence to build your offline sales. When you’re setting up your accounts on social media, make sure to use location tagging and add your location in the text of your bios. Do some research to find out what hashtags people use for your city or community so you can include them on your Twitter and Instagram posts. 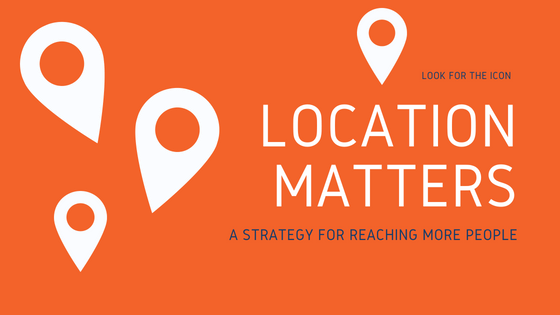 When you create social media posts, tag them with your location. When you have a location tagged on your post, it will show up on the location post. Hashtag and location pages include public photos and videos that were shared with the corresponding hashtag or location. You can tap at the top of these pages to see public stories, and scroll down to see public posts. On Instagram, after you upload or take a photo or video and add any effects or filters you want, you can add your location. On Twitter, Tweeting with your location is disabled by default for everyone. If you haven’t previously attached a location to your Tweets, you may see a prompt asking you to Tweet with a location. Click Turn on. Click the location button again to see a drop-down menu with other options. You can choose any location listed, and your selected location will show up with a checkmark. Location matters: 56% of participants of a recent coupon study report visiting a brick-and-mortar store after receiving a deal or offer on their mobile device when they were near the store. While you don’t want to share only coupons, creating special offers for your Instagram or Twitter account builds loyalty and grows your local following. Over 80% of participants reported signing up for email offers specifically to receive discounts. Facebook has a brand new app called Facebook Local. Dry cleaners will show up in search and your Facebook Page rating and reviews will also show. Keep up with what’s happening locally—wherever you are—whether you’re looking for something to do with friends this weekend or want to explore a new neighborhood. It will load your hours and phone number from your Facebook Page so make sure that this is updated. * Get recommendations based on what’s popular with your friends, things you’ve been to in the past, Pages you like and our curated Guides. I’m certain you’ve already worked with a designer who created a brand identity which would be your logo and your brand colors. It’s important to be consistent and use that same brand colors each time. Not any red but the exact red like #bb271a which is the hex code for Target’s red. Using the elements of your brand each time you create social posts builds trust and brings recognition to your content when your customers recognize the logo from your delivery vans on the tweet they just saw. If you’re unsure how to create images and graphics that match your offline brand, work with a graphic designer to build your catalog of social content. Looking for an affordable option? Maybe something like Fiverr would work for you. They’ll create your designs for you. You’ll need to know exactly what you want and handle all the social media posts once you receive them. I hope this gives you some ideas for bringing your business online and reaching more people in your community to grow your offline business online. Learning how to bring your brick and mortar brand online may take a time to learn and administrative time to implement but the rewards will come in the form of chimes at your dry cleaning call office and clients using your online coupons for new pick up and delivery requests.